If you are looking for a high-quality, yet affordable Sprindale dash cam, we've got you covered. 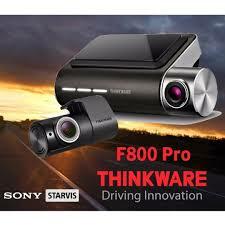 Auto Upgraders has the largest selection of in-stock dash cam cameras available anywhere in NWA. We currently have fourteen different models in stock. With the hundreds of models of dash cameras available today it can be bit confusing to choose what’s right for you and your budget, so we’ve done the research for you to offer the best of the best in quality and function, as well as several high-quality but affordable models that we can confidently stand behind. Reading the features on a website or on a box is one thing. In our showroom, we have all of our dash cams in our display, available for you to see and handle in person. We’ve thoroughly tested every model we offer and are happy to show you sample footage we’ve taken right here in NWA. In our current line-up, we have the top models from Thinkware, BlackVue, Viofo, Momento, Waylens, and Rostra. Every Springdale dash cam comes with a full warranty, serviced by us, and professional installation is available.